Description: This is the first two dollar bill issued by The United States. It is technically still good at its face value today. However, the collector value is far great than two dollars. The serial numbers on these only went up to 99999. It is not unusual to find low numbers. 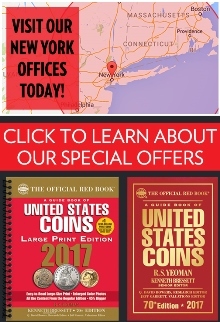 Seal Type: All 1862 $2 bills have a spiked red seal as shown above. Varieties: There are only two different types of 1862 $2 bills. 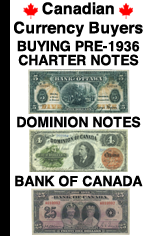 Notes can either be marked as being printed by The National Bank Note Company or by The American Bank Note Company. This notation is found on the left hand side of each note. Both varieties are valued similarly. Value: You have to remember that all 1862 $2 bills were out of circulation long before they were ever collectible. 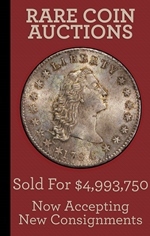 That means that there are not a lot of choice uncirculated examples available. Circulated notes start at about $200. Notes with lots of eye appeal that are still technically circulated can be worth around $1,000. Prices just go up from there based on condition. Contact us for details. 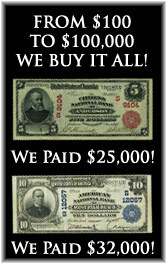 We buy all of these 1862 $2 bank notes issued by The United States. The main factors that affect the value are the condition and sometimes the serial number. We have to see pictures in order to provide any value information. You can text pictures to 864-430-4020. You can also attach pictures to an email message. You’ll never know what we would have offered unless you ask. The value might surprise you in a good way.